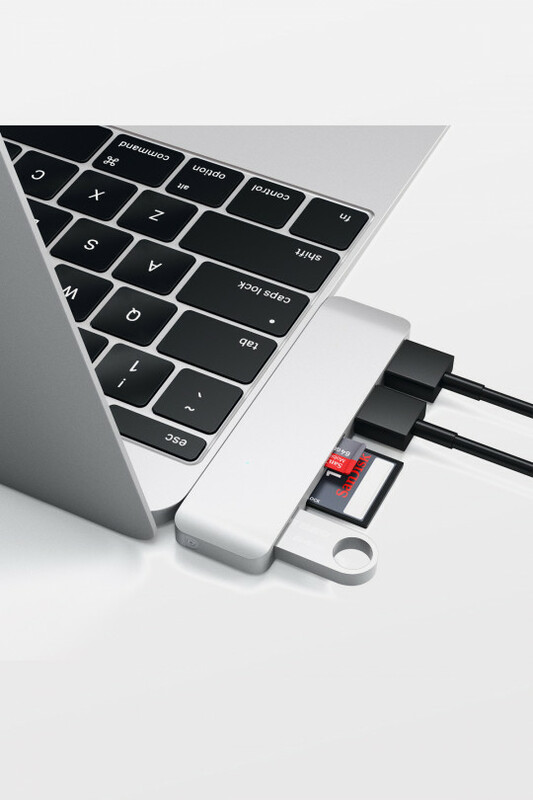 Exclusively designed for the 2017 iMac and iMac Pro the Satechi Clamp Hub Pro offers convenient access for all the most-loved ports and devices. 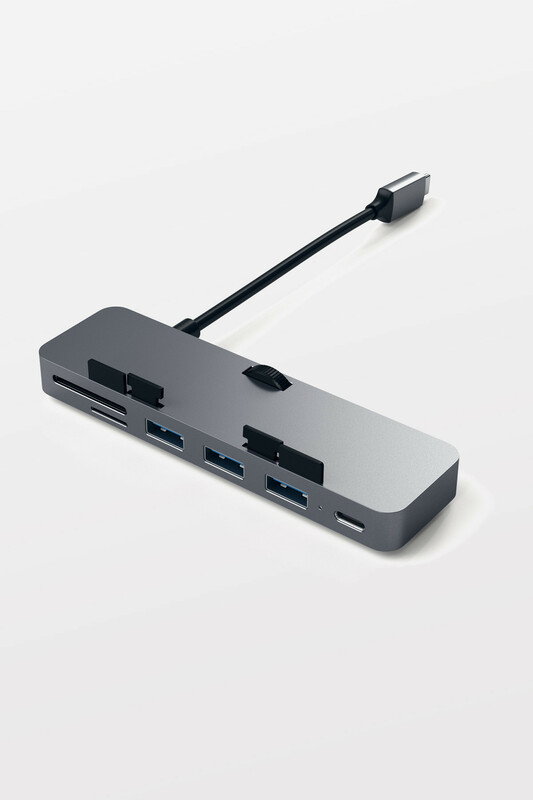 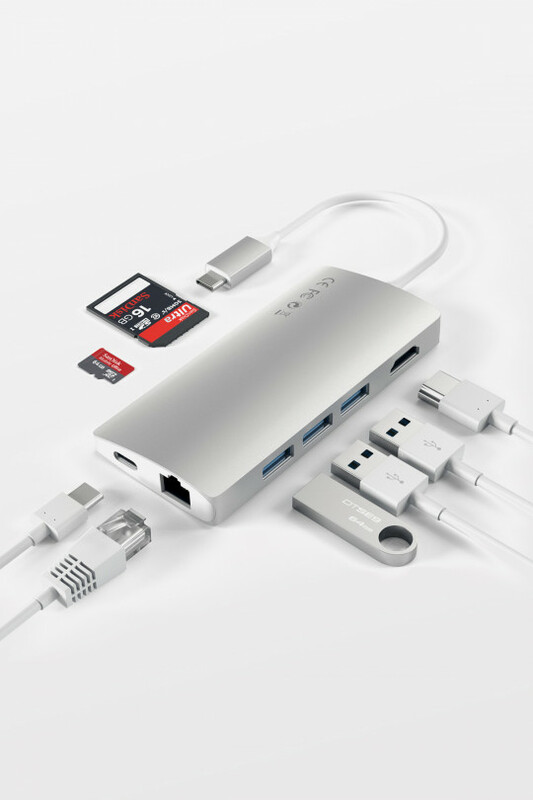 This Satechi hub adds functionality to your desktop with a USB-C port (data only), 3X USB 3.0 ports (up to 5Gb/s) and Micro/SD card readers. 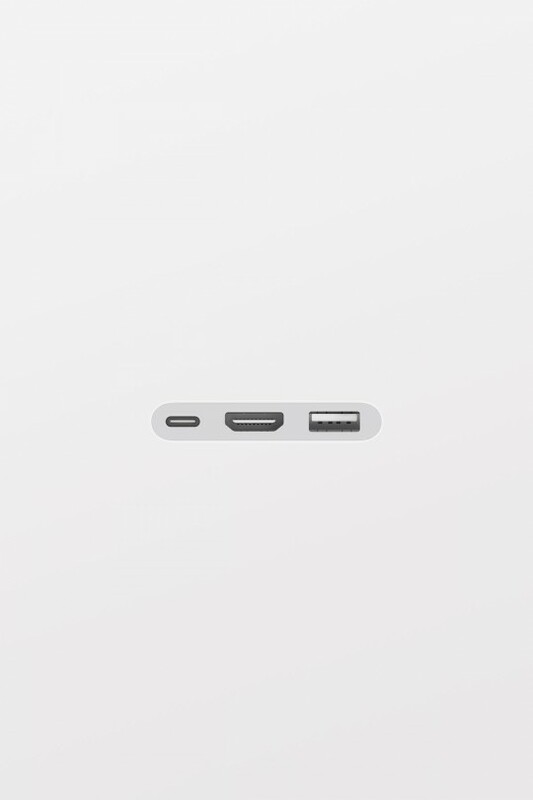 Simply, plug into a Thunderbolt 3 port on the 2017 iMac/iMac Pro and use the adjustable knob to fasten the hub to the bottom of the desktop computer. 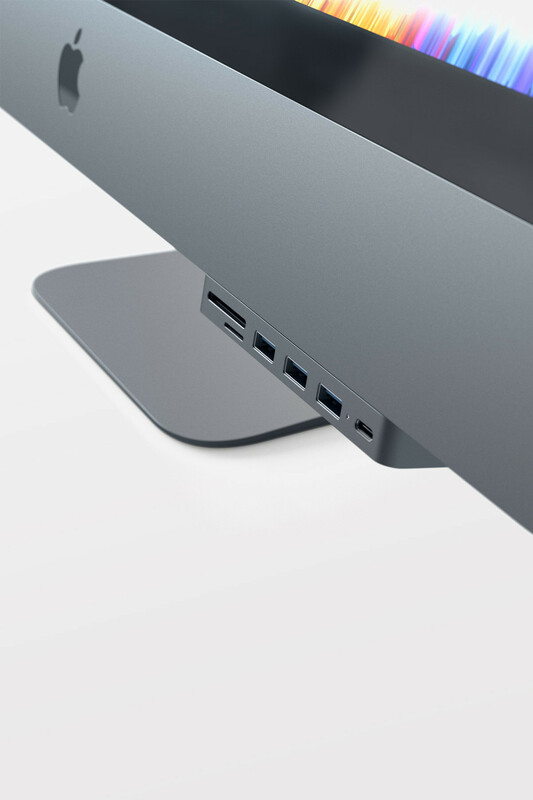 With no additional drivers or installation needed and the adjustable knob to securely fasten your hub to the bottom of your 2017 iMac/iMac Pro, the Satechi Type-C Clamp Hub Pro helps to simplify desk spaces while its sleek, brushed aluminium finish complements Apple accessories.